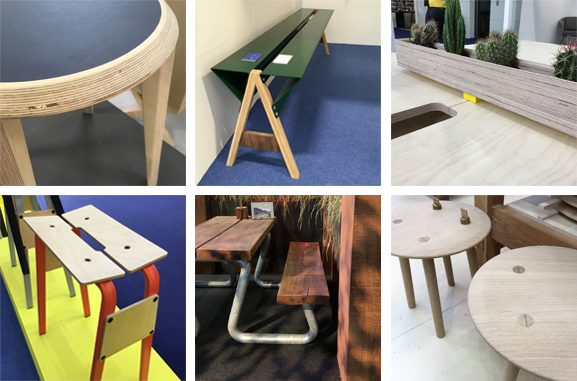 Back from September’s 100% design show in London, Mathilde, our designer, cracks the 2019 design codes for furniture and design. She brings us her vision on the trendy materials in decoration and planning projects. Alongside a trend for all tropical things and the return of the Art Deco style, handmade products and natural materials such as wood, rattan or stone are making a comeback. Back to basics with raw, unstained wood. Slight flaws vouch for a guarantee of quality. This makes for simple and refined volumes. Wire is the trend bringing lightness to product. Imperfections on beech leaves steal the show. Edges are bare and it’s all about the thickness of the panels.